Wedding trends come and go each year just like every industry. Trending in 2018 was ultra-violet, gold embellishments, and over-sized bouquets filled with multiple colors and textures. While we’re just starting the fall season, we’re already looking forward to wedding trends for 2019. Therefore, here’s what we think will be trending in the Austin wedding scene. Pantone released their choice of ultra-violet as the color of the year 2018. “As individuals around the world become more fascinated with color and realize its ability to convey deep messages and meanings, designers and brands should feel empowered to use color to inspire and influence,” said Pantones’ creative team. While the bold color choice shocked many, it was spot on. “The Pantone Color of the Year has come to mean so much more than ‘what’s trending’ in the world of design; it’s truly a reflection of what’s needed in our world today.” – Laurie Pressman, Vice President of the Pantone Color Institute. That’s because ultra-violet connotes the originality, ingenuity, and creative inspiration young couples are seeking as they begin their married life together. For 2019, we predict a shift from the cool hue of ultra-violet into warmer tones such as Pantone 15-1242 Muskmelon or 16-1451 Nasturtium. From a psychological standpoint, these oranges speak to adventure, optimism, and social communication. The bright warm hues are already been trickling into weddings and home decor and seem to be gaining in popularity. We expect to make more monochromatic bouquets in 2019. However, monochromatic doesn’t mean ‘plain-Jane’ bouquets. On the contrary, we expect more tailored, lush bouquets with the slightest hint of color variation and loads of texture. Quite a change from the wild boho looks we’ve been making this year. We do, however, expect to continue making our trademark wild, bold, and beautiful oversized boho bridal bouquets! We had a fair number of brides choose silver as their metallic accent in 2018 and we expect even more to do so in 2019. Because we carry metal accessories in lots of colors we’ve got you covered regardless of your favorite. This is one trend we love and expect to gain in popularity in 2019 and beyond. We always say it’s your wedding, therefore it should reflect you! There’s no right or wrong at your wedding. If you don’t like cake, have pie. Or doughnuts. Or whatever it is you do like because it’s your wedding. And if you’re a girl and want a guy to stand on your side, that’s fine with us and should be with your guests, too. As couples continue to personalize their weddings we’ll see new trends, but we think this one is here to stay! What wedding trends have you noticed? We would love to hear your feedback! Follow us on Instagram, @floramoraustin or Facebook and tell us what you’re seeing. 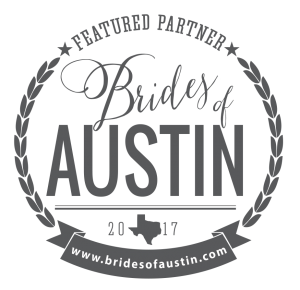 Are you planning a wedding in Austin? We’d love to work with you! Contact us today to schedule a consultation.